Okay, I'm totally camping in front of the television this Saturday with a laptop and spamming this thread with my comments about every single entry. Take a shot for everything with even a vague hint of homoeroticism. Take two for barely dressed dancer girls. Take a sip every time you hear something repeated in French. Take a mouthful when there's pirates, vampires, replicants or Hungarian tin foil nightmares on stage. Die of alcohol poisoning when the entire Eastern Europe only votes for their neighbours. This actually happens? The hell is this? Also; I've just learned what a pita typing on an IPhone is. Relmitos wrote: This actually happens? The hell is this? Yes, this is a serious song contest. My favorite of those, was DEFINITELY the pirate one. Infact, I like it so much, I think I'm about to go rip the audio out of the video and save it as an MP3. The rest.....I kinda just went "wth am I listening to?". I find this Eurovision thing to be rather interesting overall though. I giggled at the tinfoil hats. Woah, we are in the finals, this is a huge surprise for me. Spontaneous Combustion wrote: Okay, I'm totally camping in front of the television this Saturday with a laptop and spamming this thread with my comments about every single entry. this would land a average drinker in a coma already. Did Holland already lose, and if so; how hard did we lose so I can rub it in the faces of the dutch eurovision fans. Seriously......first we send sha la lie, now the 3 J's........AND PEOPLE WONDER WHY WE KEEP LOSING!? Urgh, Australia doesn't get it until Sunday night. - Norway, Sweden, Finland and Denmark give each other 12 points. - Any other country gives 12 points to their neighbours. - Every time the UK gets nil points. - The presenters engage in some extremely awkward flirting. - The person announcing their country's scores is obviously not where their backdrop is. - There's an entry from a country you had no idea was even part of Europe. - You see your own country's entry. You need it, it was so bad. I wanted Norway to get in to the finals. I loved Norway. I am disappoint guys. Where was the running commentry? Anyway, voting is now under way. As much as I'd like Sweden to win (I've got a bet on- I get £165 if they win) some idiot decided to let the out-of-tune backing singers join in and it sounded terrible. After hearing them all I think Georgia is going to win, with Denmark and, sigh, Ireland with Jedward as close competition. I did like the Ukraine entry though. I think the UK might do fairly well...as long as the political voting doesn't kick in. It's been fairly tame this year, sadly. Moldova wins the batshit insane award though. Videos will be posted soon! + notoriety for you good sir, that made me laugh due to recently referring to Snape about something completely different and random. Azerbaijan have won. That country is barely even in Europe! It's in the Middle East! And it wasn't even a good song! Why do I get so excited over this contest again? Raya wrote: Azerbaijan have won. That country is barely even in Europe! It's in the Middle East! And it wasn't even a good song! There was going to be running commentary but the internetz was broken. Well yeah. I'll be watching tonight knowing the outcome and STILL getting excited. Man, I don't even REMEMBER that entry. I just wanted Moldova to win. (Though I finally saw their 2010 entry and epic sax guy...wow). Spont, I have a theory that you are Paradise Oskar. Also Eric Saade = Bambi. Rocket Admin Camilla wrote: Spont, I have a theory that you are Paradise Oskar. How's saving the planet going Spont? His MS Paint picture had him with short blonde hair, he wasn't around for Eurovision because his internet conveniently didn't work, he's Finnish...what more proof do you need? 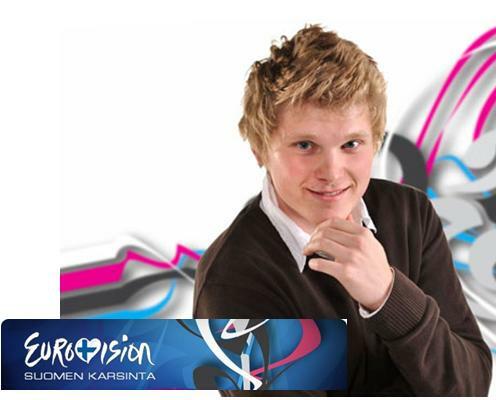 Rocket Admin Camilla wrote: His MS Paint picture had him with short blonde hair, he wasn't around for Eurovision because his internet conveniently didn't work, he's Finnish...what more proof do you need? Bumping from the depths as the time is fast approaching. Nations are settling on their final entrants for the contest. Some aren't that bad, some are a bit odd. What do you think of your own country's entry? Actually, one of the reasons why I bumped this thread was because the UK have just announced their entrant. It's Engelbert Humperdinck. I'm...not sure what to make of this. Sure, he's a well-recieved singer and all, but male soloists don't tend to do well at Eurovision. Also, our entry is Engelbert Humperdinck. Funfact: This make Engelbert the oldest ever performer in Eurovision history. Previous title holder was 75 Cents, who represented Croatia in 2008.